Education that is based in Freemasonry is an important part of any well governed lodge. There are copious amounts of wonderful publications available to Freemasons through various organizations and publishers. Perhaps the most common being the Masonic Service Organization of North America. However, each Brother inside a lodge has a story to tell, some experience to relate, some lesson to teach. It would do lodges well to draw upon these Brethren to conduct Masonic Education in their lodges. 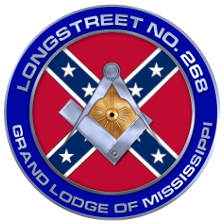 We have many such members here at Longstreet Lodge, though one brother in particular stands apart. Danny Fisher, PM, is a talented writer of stories, poems and plays. Many of his works can be found at PoetryPoem.com (A drop-down box at the top of the website allows you to select his other works). Brother Fisher’s works are clearly Christ-centered. Some revolve around Freemasonry and others are very Patriotic in nature. Below is list of selected works that have been used in our Lodge for educational purposes. Unless otherwise noted, they originated from Brother Fisher. Please click on each title in order to view the work. Feel free to use these for your own up-lifting study or to share them with your whole Lodge. We are confident you and they will enjoy them. Should you wish to contact Brother Fisher directly you may do so at dfisher@longstreetlodge.org. This play attempts to portray the morals that Freemasonry inculcates to its members, and the fact that Freemasons do not just work inside the doors of their Lodges, but that they affect the community as well. Set in 1954 in a remote country lodge, the members of Star Hill Lodge No. 123 are put through an experience where a new Fellow Craft, Hank Johnson, offers the greatest gift that any man can offer. A ship captain reflects on the builders of the Temple, the Temple itself. This is the story of a train that Jesus has running. It’s a train that has a free ticket attached and the ride is a once in a lifetime event. One of the authors personal favorites. It is about Jonah and the fish. A true story from the authors past with a tie into Freemasonry. A story about the history of Old Glory. Written in 1976 and recited at the 150th Anniversary of Longstreet Lodge. A message from a father to a groom. A story about Christ appearing in our time. A deaf man hears of the miracles of Jesus. A man reflects on his reflection. The story of the author. A tough boy becomes a tough man in Christ. A summary of the life of the Savior. The role and passage of Master to Master.